Welcome, welcome, to the next stop in The Orphan Queen Blog Tour. I cannot tell you guys how much I loved, loved, loved this book. Wait, yes I can, ESPECIALLY since half of this stop involves a review. Woohoo! Let's start the show! "Wilhelmina has a hundred identities. 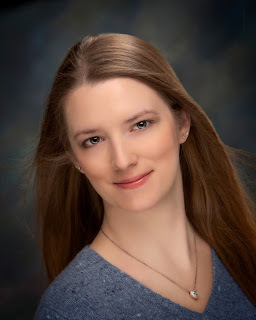 Jodi Meadows introduces a vivid new fantasy full of intrigue, romance, dangerous magic, and one girl’s battle to reclaim her place in the world." Thoughts: First off, thank you Jodi for reminding me of how much I simply adore fantasy novels. This book has it all- a beautifully sculpted world, a lovable herione, and a brooding, enigmatic guy who you'll want to pounce. ROAR! First off, the title pretty much explains the book in a nutshell. Wilhelmina is the orphan princess of Aecor who must fight to overtake the kingdom that was taken from her. She only survived, because she pretended to be someone else. Since this worked before, the Ospreys decide to send Wil and her bestie Melanie back to the palace to spy and hopefully figure out a way to take Aecor back. Along the way, Wil begins to question this decision and those she trusts most. Is this the life she wants to fight for or should she simply move on? Okay, can we please talk about what a badass Wil is? Often, when you hear the word "princess", you think of pretty dresses, proper, good manners, etc. Wil is so much more than that. Most kings and queens sit back and let their soldiers fight for them. Not Wil. She could kick all of our butts and still have time to grab a mani/pedi before lunch. As far as strong heroines go, she's the cream of the crop. She's also very humble. Sure she's the future queen, but that doesn't make her their leader. Wil feels like being queen and ruling is something she has to earn, and I cannot tell you how much this makes me respect her as their rightful queen and a person. Next up, I cannot write this review without mentioning the Black Knife at least five or six hundred times. I loved how much he grew throughout the novel, especially with Wil by his side. He originally thought all magic was criminial and should be punished, but the more time he spent with Wil, the broader his views began to grow. He's strong, hot, and just oozing charm to the point where I wanted to jump inside the book and hug him. I could say he's swoon worthy, but that would be an understatement. Can we please have an "adult" novel that revolves around the Black Knife? Pretty please? Overall, I devoured THE ORPHAN QUEEN and recommend it over and over again. It reminds me of a mixture between GRACELING, THRONE OF GLASS, and A DARKER SHADE OF MAGIC (a great combination!). I personally cannot wait for the sequel and once you read the book, you'll see why. 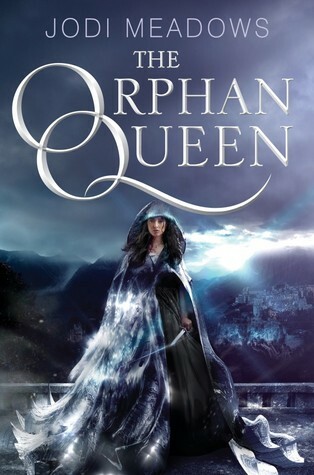 GIVEAWAY: Thanks to the fabulous people at Harper Teen (And the fabulous Hannah at The Irish Banana Review blog for organizing this tour), I am giving away a signed copy of THE ORPHAN QUEEN. To enter all you have to do is fill out the Rafflecopter form below. This giveaway is only open to US participants and ends March 28th. Be sure to visit the rest of the tour for more chances to win! Super excited for this book! I have heard such great things! Loved the book but that ending killed me. Thank goodness for all of the novellas to tide me over until next March! I really need to read one of her books. I'm so behind! I loved her first series do I'm so glad to see that you loved this one!! I need to read this SOON!! I love her writing and her focus on characters! Wil sounds like quite a different princess than we usually see. Like many people, I'm waiting to meet her. Thanks for the chance to win. I really cannot wait to read this one! I adore fantasy so this sound right up my alley. Great review! I am so excited for this book! And the cover is gorgeous! Thanks for the giveaway! Oh yay! I can't wait to read this book. :) I love Jodi and her Incarnate series. :D Thanks for the giveaway! Loved Graceling and ToG, pretty sure I'm gonna love this one too! Especially since those quotes sounds so badass! Dying for that signed copy! I love this cover! Thank you for the giveaway! I have to read it!!!!! This book has been circulating around social media. The first time I saw this, I instantly fell in love with its cover. And now, I can't hardly wait to read this! Thanks for this lovely giveaway!